Home » prescription » What Exactly Does a Generic Drug Mean (Opposed to Brand Name)? What Exactly Does a Generic Drug Mean (Opposed to Brand Name)? Some patients are very confused by what the difference between a generic drug versus brand name drug is. From the patient perspective, they are thinking, how in the world can the same drug be called different things? Doctors answer by talking about active ingredients, patents, and copays which sometimes confuses patients even more. Well, here's to set the record straight using an analogy. So let's talk about orange juice. 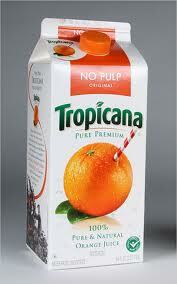 I consider Tropicana Orange Juice a brand name "drug". The "active ingredient" in Tropicana Orange Juice is the fruit "orange". A generic drug equivalent to Tropicana Orange Juice is Target (or other supermarket name) Orange Juice. They both contain the same active ingredient of oranges, but the name is different. The generic orange juice is also always cheaper. Now, some people do not feel there is any difference between the brand name Tropicana and the supermarket branded generic orange juice, but some people insist that Tropicana tastes better and is healthier as it is not made from concentrate. Others say that in the end, it really is the same because the active ingredient of oranges is the same. Same controversy and arguments for orange juices also apply to drugs. Hopefully, people understand the difference between brand name and generic equivalent drugs a little better now. Personally, I feel if generic drugs work for you, save your money and stick with it rather than a brand name drug.